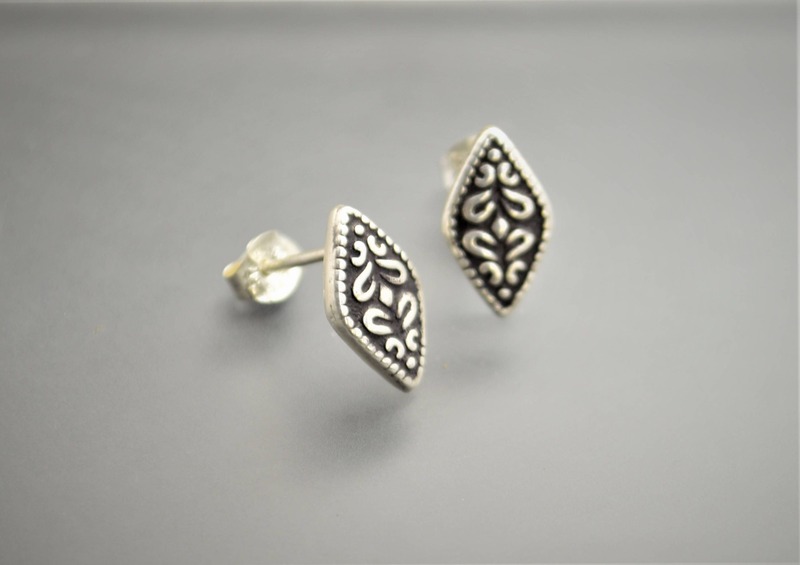 Boho Design Earrings. Classic and always in style. These are completely designed and fabricated in my shop. 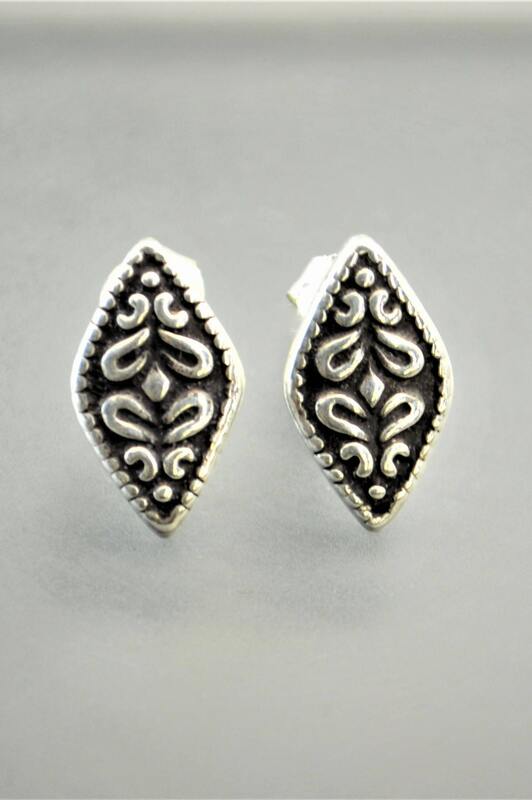 The earrings come with BOTH Sterling backs (pictured) and soft clear plastic comfort backs. 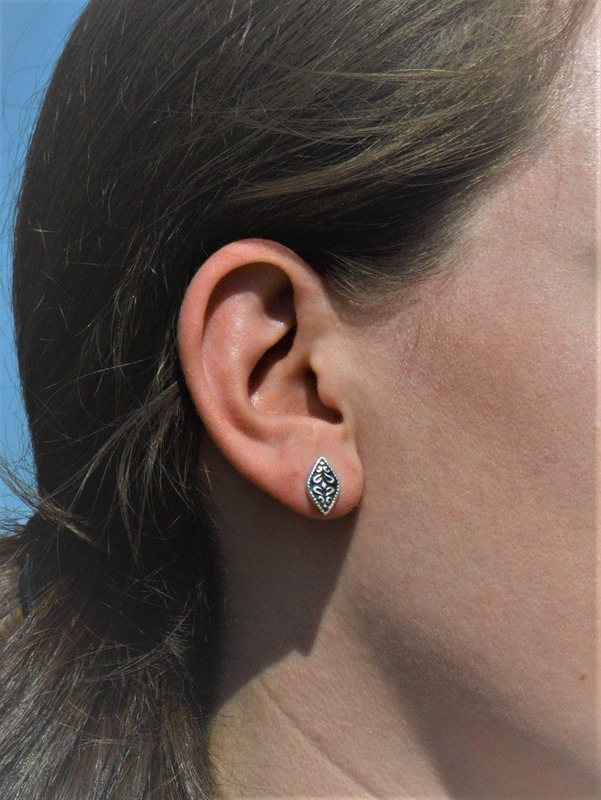 The comfort backs are great for second holes, first earrings, and for those that just prefer them. • The design is about 1/2" tall and 1/4" wide. 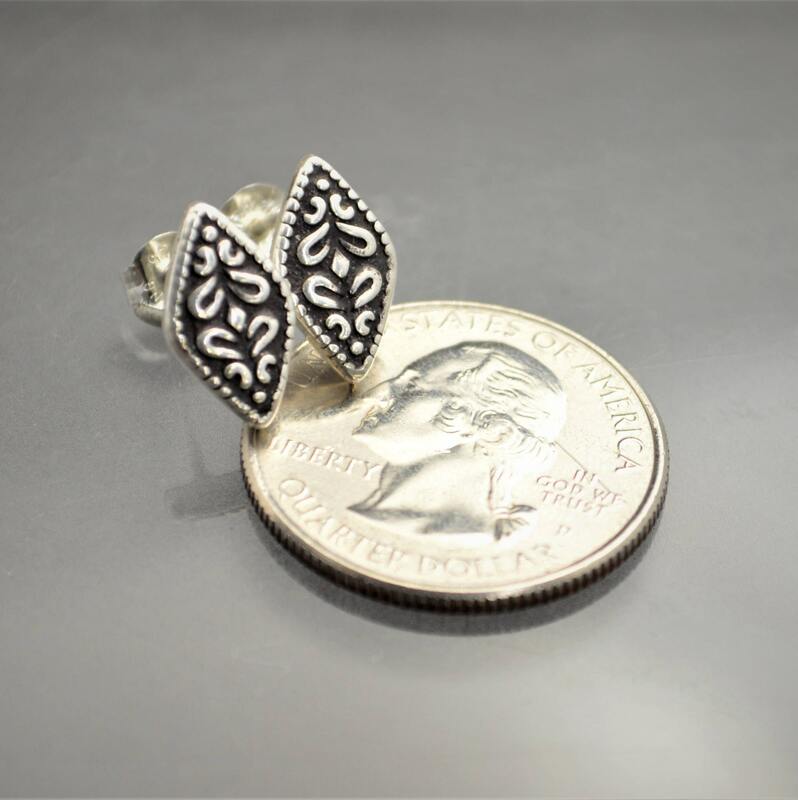 The depth is over 2mm, these earrings will last a lifetime. Good weight and quality of craftsmanship, these are really lovely! Thank you for creating them and shipping them quickly.